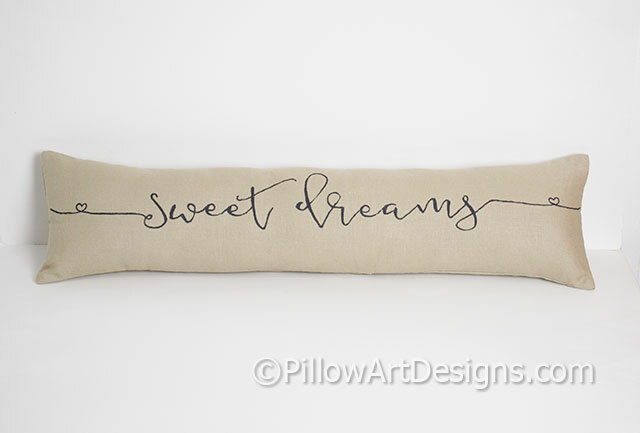 Sweet Dreams pillow hand painted words in black cursive font with small hearts and swooshes on either side. 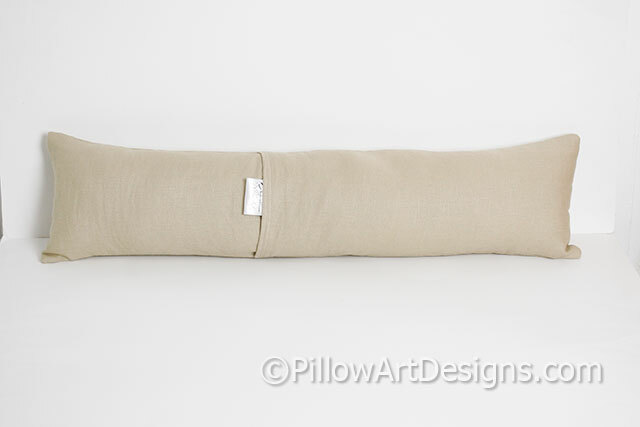 Outer fabric is beige cotton polyester twill, fully lined with white cotton polyester. Hand painted with non toxic fabric paint, will not wash off, flake or rub off. Seams double stitched and overcast to prevent fraying.